Give your space a light and attractive detail with the addition of this Bayberry transitional swivel bar stool. Decorated by the bamboo effect in the stool back, this Bayberry transitional swivel bar stool from Hillsdale is light and eye-catching to stand out in any space. 44 1/2" high x 24" wide x 18" deep. Weighs 35 lbs. Bayberry transitional swivel bar stool from Hillsdale. Off-white woven fabric seat; white finish wood frame. Bamboo effect in the stool back. Does this come in counter height ? 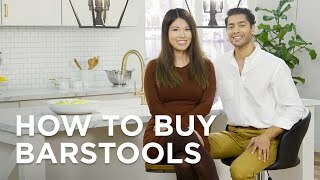 Does this stool come in counter height?